1. Heat the EVOO in a deep sided saute pan, over medium heat. Add the Garlic, Onion & Ginger & saute until the Onion is translucent & the mixture is tender. 2. 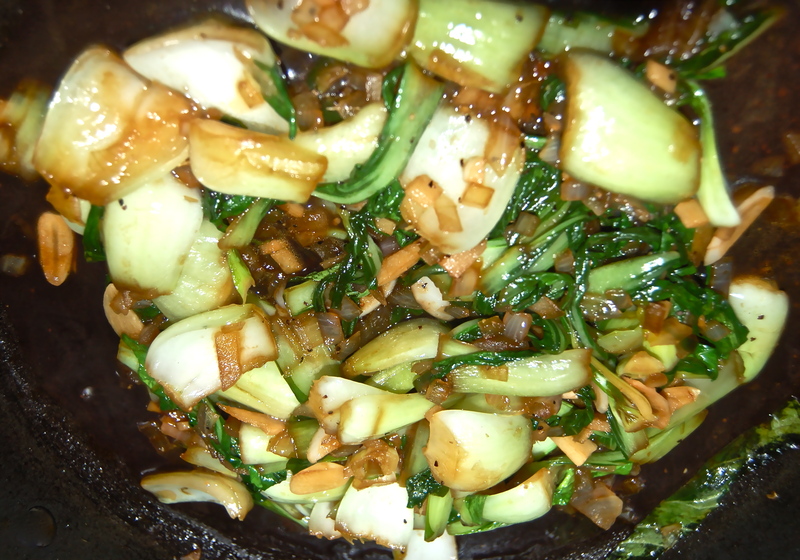 Add the Bok Choy stems & stir fry for 3 to 5 minutes. Add the sliced leaves & saute until they are thoroughly wilted & the stems are crisp-tender. Add the 1TB of Soy Sauce & the Sesame Seeds. If required, add a minimum sprinkle of Salt & Pepper.